We took a side trip driving from Nashville to Memphis this weekend. For the first time since leaving Idaho, we left our RV behind. In Nashville we’ve parked our RV at my brother’s house. Because we planned to return to his place after our visit in Memphis, we opted to drive to Memphis in our van and stay in a hotel over the weekend. The kids expressed their feelings toward this plan with squeals and shouts. However, after three nights visiting Memphis with kids, I’m ready to be back in our little house on wheels. Memphis is tucked on the far western edge of Tennessee. The Mississippi River flanks the border with definable boldness while the city itself overflows with music, fried chicken, BBQ and cultural diversity. Our visit to this “Birthplace of Rock ‘n Roll” was driven by the desire to reconnect with my nephew and two college friends. 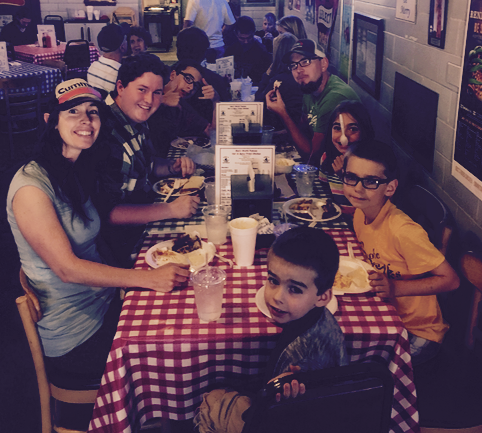 During our stay we were treated to a meal consisting of BBQ, beans, greens, macaroni & cheese and apple pie as tasty and southern as they come. Even richer than the food was our opportunity to rekindle relationships. 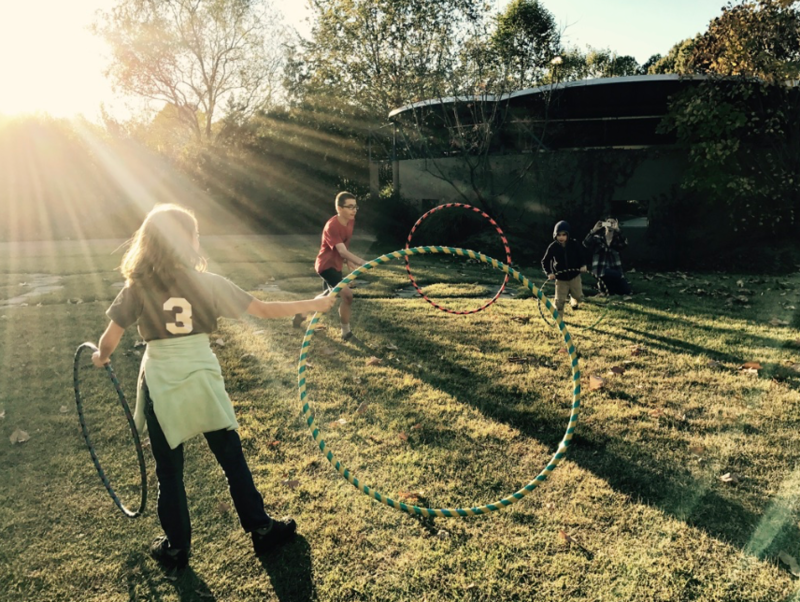 In the last few weeks I have noticed a craving for community creeping up inside of us. This has begun to take is toll on our hearts. Twice we’ve camped within minutes of other traveling families. However, because of the rapid pace of our travels, our ability to connect with others has been limited. This weekend we had the opportunity to enter into deep discussions about life, loss, and God’s role in our lives. It rejuvenated my heart to make those connections. It also confirmed our desire to connect with other traveling families in the future. 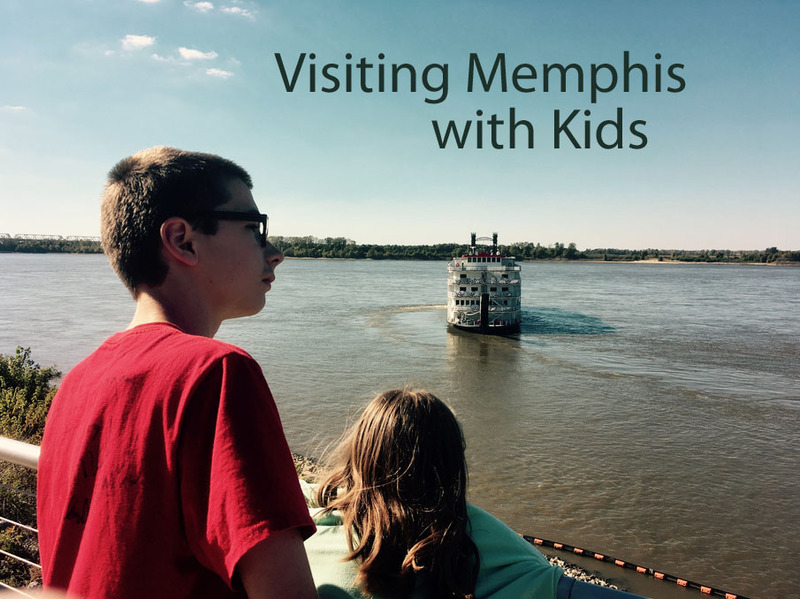 Our time visiting Memphis was limited and the people we were there to see took center stage. However, we did enjoy visiting a few of local sights and sounds with the kids. The Memphis Children’s Museum was a fun diversion with my nephew. We’ve now had the opportunity to visit a few Children’s Museums. Thanks to a reciprocal arrangement through our ACM (Association of Children’s Museums) membership, these visits are either free or discounted by 50%. While our kids enjoyed their visit, this wasn’t my favorite of the Children’s Museums we’ve visited so far. It was smaller in scale and I didn’t feel the value was equal to the $15/person price (even with our 50% admission discount). 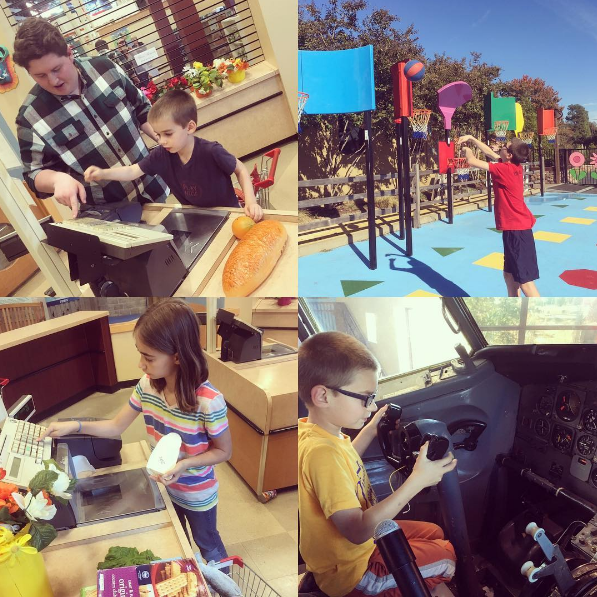 If you are unfamiliar with the different museum memberships beneficial to traveling families, I encourage you to read this post that first clued me in. Relaxing on the bank of the Mississippi River watching the steamboats floating effortlessly down river was a treat. There are several parking areas (some free, some paid) making this an accessible activity. The kids also found the RiverFIT riverfront fitness trail extra interesting. The Civil Rights Museum is a place I’ve mentally bookmarked for the future. We didn’t visit inside the museum on this trip. 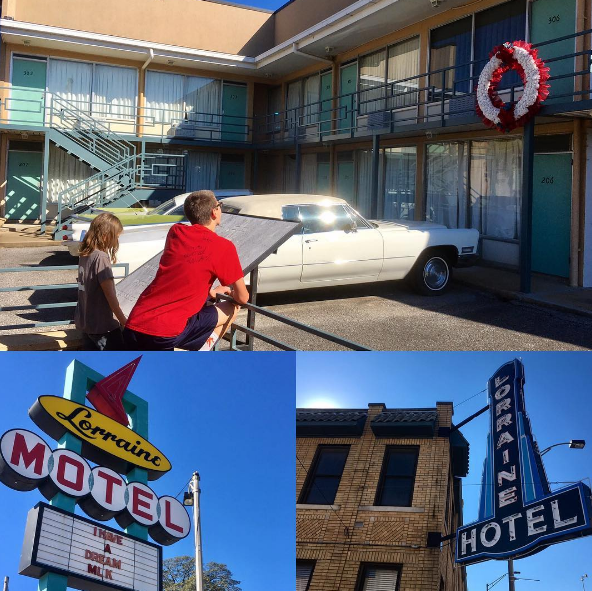 However, from outside the museum we were able to see the hotel balcony where Martin Luther King Jr. died and learn more about the incredibly influential life that he led through short instructional video displays. Standing in the place where history has gone before me is something that I continue to love about travel. 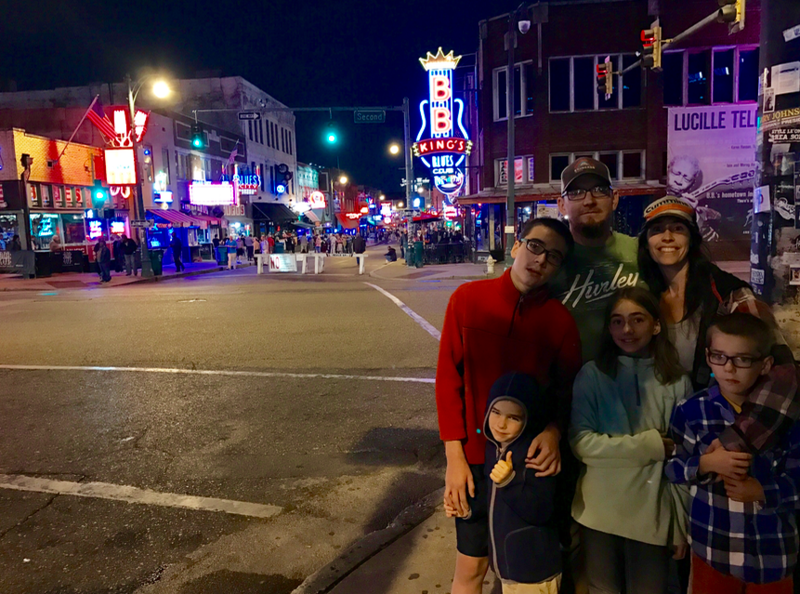 Walking down Beale St. after sundown with live music pulsing and neon lights illuminating the evening created a memorable close to the day. As we head back to Nashville we tip our hats to you Memphis for your idiosyncratic melodic style. You play to your own beat and we found that beat super groovy. To see our Memphis visit via video, click here. Have you been to Memphis? Please share your favorite spots and activities in the comments below. 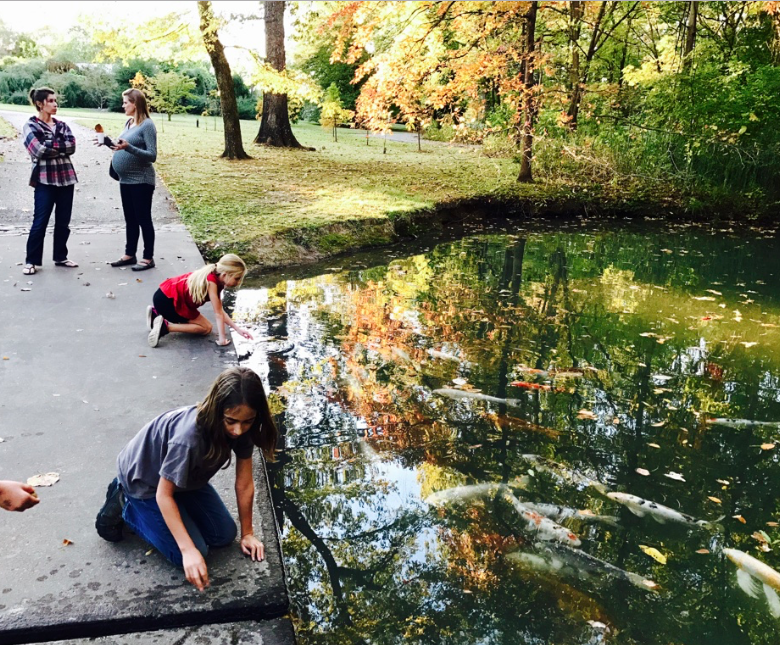 On my Instagram account @christiededman commented: “I would add Mudd Island museum, Pink Palace and at least drive by Graceland (don’t pay to go in not worth the money) the Lichterman Nature Center is beautiful too.” Mudd Island did sound amazing. We would have visited, but it had unfortunately closed for the year at October 31.